The annals of conspiracy theory are predominantly populated with the unprovable. Some theories simply aren’t valid, and can never be substantiated. Some are so well hidden within government that the truth may not come to light for centuries. Some, such as Bohemian Grove, are so poorly hidden that the only reason they haven’t been publicly broken open is a general lack of public knowledge. 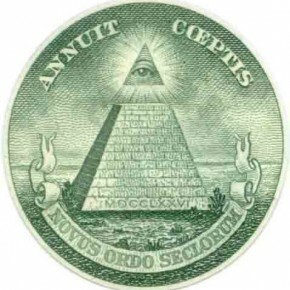 But one conspiracy, Masonic in origin, was catapulted into the sunshine one day in March of 1981 when the Italian police searched the home of Worshipful Master Licio Gelli and found a list containing the names of some of Italy’s most prominent officials, including that of Silvio Berlusconi, a man who would become Premier of Italy and a personal friend of George W. Bush. Founded in 1877, P2 or Propaganda Due was an irregular lodge formed as part of the Grand Orient of Italy. It had few members until Licio Gelli came to power and drastically expanded its membership within one year to over a thousand. Gelli was a former fascist, having been a “black shirt” in Mussolini’s government, and served as a liaison between Mussolini’s government and the Third Reich. Essentially setting the P2 Lodge up as a shadow government for Italy along fascist lines in the 60’s and 70’s, Gelli’s Lodge included four Cabinet Ministers, all three heads of Italy’s intelligence organizations, forty eight members of parliament, hundreds of military officers, and the cream of the crop of Italy’s industrialists, bankers and diplomats. In addition, he developed high level contacts outside of Italy as well, most notably meeting with Alexander Haig, and contacts with Henry Kissinger and the CIA. P2 and Licio Gelli were implicated in a roundabout manner with the death of Italian Prime Minister Aldo Moro in 1978. Kidnapped by the communist revolutionary group The Red Brigades, Moro was held hostage for over a month until the group concluded that the government would not negotiate. They shot Moro and dumped his body between the headquarters of the Italian Communist Party and Moro’s Christian Democrat Party as a symbolic political gesture. The Italian Chief of Intelligence, a P2 member, was accused of nearly criminal gross negligence in the case, due to his failure to determine where Moro was being held, perhaps orchestrated by P2 to discredit the communists at large and remove the roadblock they posed to a return of fascism in Italy. Gelli spent some years after the fall of Mussolini’s government in Argentina, and claimed to be a close friend of Argentine President Juan Perone. Several members of Argentina’s military junta government were found to be P2 members, including an interim president. The effect this group had on Argentina’s government is not clearly understood, but it further illustrates the international reach of P2. The most notable of the group’s known activities involved the Vatican at very high levels. Roberto Calvi, nicknamed “God’s Banker”, headed the doomed Banco Ambrosiano that was investigated in 1981 of breaking the law when a whopping $27 million had left Italy in violation of currency transfer laws. Also accused of laundering money for the Mafia, the Banco Ambrosiano collapsed into bankruptcy in 1982. Calvi had clear connections with Licio Gelli, which led to the discovery of P2 and its infamous list of members. Very heavily invested in Banco Ambrosiano was the Vatican Bank, then headed by Archbishop Paul Marcinkus, who in an attempt to increase the finances of the Holy See, entangled himself with Calvi and his illicit activities – and presumably those of the Lodge – ultimately fleeing Italy to avoid prosecution to Sun City, Arizona where he died in 2006 under the protection of his Vatican passport. The Vatican had to pay over $250 million in settlement to Banco Ambrosiano’s creditors, and In response to the allegations brought against him, Archbishop Marcinkus famously remarked in 1986 “You can’t run the church on Hail Marys”. It is thought that much of the plundered funds from Banco Ambrosiano went to members of P2. The strangest aspect of the Vatican Bank Scandal is how Calvi died. In 1982 he was found hanging from London’s Blackfriar’s bridge, his death was determined to be a murder, but most interestingly the P2 organization had often used the nickname “The black friars”. A commission by the Italian Parliament outlawed secret organizations, even though they couldn’t prove much against most of the P2 Lodge. Most of the prominent members of the organization came out unscathed, and continue to affect Italian politics. Licio Gelli spent time in prison for his connections with the Banco Ambrosiano crash, but he was paroled, and brought up on charges again. He disappeared the night before he was to report to prison, before being arrested in France. He spent several years in prison, but is now under house arrest for health reasons. Nominated for a Nobel Prize in Literature in 1996, Gelli has defended P2 as having the ultimate goal of a neofascist state that would consist of authoritarian democracy, even going so far as to state that Berlusconi’s government was implementing the ideals of the organization. P2 remains the only case where a criminal organization in the form of a black Masonic group had become the shadow government of a nation, standing poised to mold the government into a neo-fascist state, only to be completely exposed through its financial activities. The list of prominent members is truly frightening in its power, and a defacto mission statement was also found that described nothing less than the takeover of Italy. Former members still hold power in Italian politics, and a new conspiracy conceived in 1990 has come to light designed to bring about the secession of the island of Sicily from Italy. Once again, this plot seems to have involved Licio Gelli along with the government of Libya, and the Sicilian Mafia. Does P2, perhaps in some new form, still lurk in the shadows of Italian Politics? Deadly Infections on the Rise?